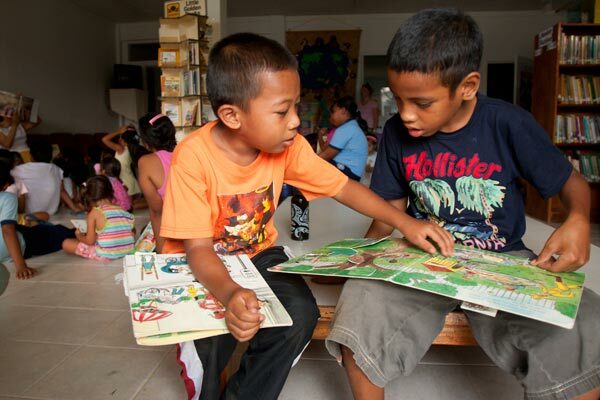 The Summer Reading Program started way back in early 90's by the Friends of the Pohnpei Public Library and the staff. It has been mostly contacted by the staff and local librarians from the schools until 2010 when ten Peace Corps Volunteers first involved in planning and implementing the Library Camp, centered around Pohnpei Public Library's 2011 theme: One World, Many Stories. The purpose of the camp was multifaceted. First and foremost was the goal of instilling--during children’s most impressionable years--a love for and a comfort with books, libraries, and reading. Secondly, the intention was to build community and teach the children of Pohnpei about the greater world, broadening their perspectives and encouraging them to think about themselves and those around them in a fresh and informed way. Each camp activity had a clear international component, was learner-centered, and prompted the children to explore the world as they simultaneously explored the library. A different aspect of world culture was studied every day, introducing the children throughout the course of the week to the food, clothing, celebrations, and folk tales of many different regions. Specific activities included sessions on library skills and procedures, creative arts and crafts, read-alouds, literacy-building exercises, and organized recreation. Each day of camp began with a warm-up coloring activity before the children rotated through the four 30-minute learning stations. Recess was, of course, an important part of camp and allowed for organized recreational activities. At the end of the day, all of the children gathered on the floor for a read-aloud with either a Peace Corps volunteer or a guest reader. The last day of camp featured a local feast after which the children were presented with their certificates. There were songs, research presentations, and other performances from the students. 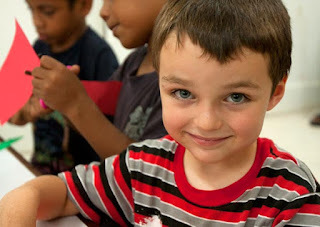 Approximately 100 children from 1st through 8th grades participated in Library Camp 2011. The program cost only $5 per student, which included a library card, access to the Internet, and a half-day of camp activities every day. The camp was divided into two sessions, based on grade level; Week 1 was designed for 1st-4th graders, while Week 2 served 5th-8th graders. Library Camp was partially funded through a $3,500 DAP grant from the Australian Embassy. Given the program’s success, we at Pohnpei Public Library are excited about continuing what has been started and look forward to more fantastic Library Camps in the future.